Art Lee, a writer and guide who described the sylvan joys — and the slyest tricks — of fly-fishing to generations of trout and salmon anglers, died on July 25 at a hospital in Middletown, N.Y. He was 76. I still refer to Art's first book, Fly Fishing for Trout on Rivers and Streams, as it continues to influence my approach to trout fishing. 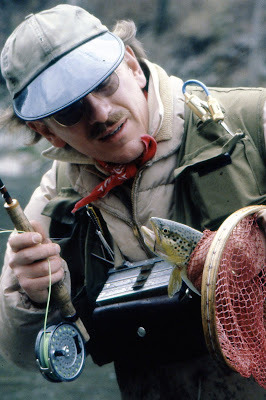 If you haven't read it, I recommend you do as Art offers many thoughtful and practical ideas and techniques that will improve the way you think and approach the stream no matter where you angle for trout. I've had the pleasure of meeting Art a number of times on the Beaverkill over the years, and it was he who introduced me to snowshoe rabbit foot for dry flies way back in 1983.